J.I. Plumbing is the only name you need to know when it comes to Chandler water heaters. Our specialties just happen to include repairs, installation and replacement so give us a call today and let us review with you the options that you have as a homeowner. The last thing you want to have to deal with is not having hot water; this throws off your day to day routine completely and can make like very uncomfortable for you and your family. You need hot water in order to have a certain, expected level of cleanliness. You cannot rid dirt or germs from dishes, clothing or yourself if you use only cold water. So if your water heater is not working the way it should be or has stopped working completely, you need to let our Chandler plumber take care of the job for you. Trust in the J.I. Plumbing name and let us take care of your service needs. Current age of your heater – Knowing how old your water heater is will help determine if it is time to replace it. If you bought the home from someone else and do not know the age, you can use the serial number to look up the date it was manufactured. Discolored water – Rust colored water usually is an indication that the heater is beginning to rust and crumble. This means that it is time to replace the system. Water around the heater – Spotting water around the tank could mean you have a leak. Even a small leak means it is time to get a new one. You can count on J.I. 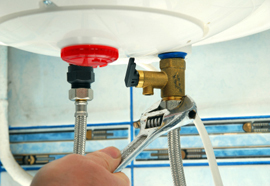 Plumbing to take care of your need for water heater service, the same day that you call. We realize how important it is to you to be able to keep your household up and running, without interruption. So it is important to us to be there for you when you need us most, which is generally right away. Give us a call today and let us show you how we became the top choice for Chandler water heaters. You will love the level of service we provide for you. Get in touch with us right now and let's take care of whatever it is you need done. 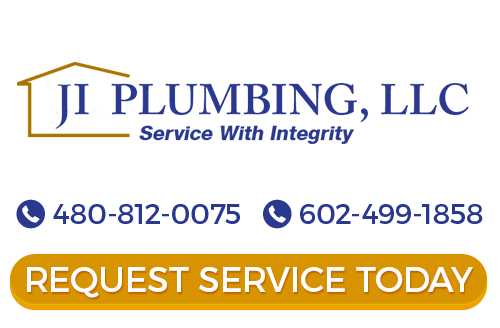 Our plumbers in Chandler work hard to provide prompt, professional water heater services when you need it. We know that you expect efficient quality service, trusted products and water heater repairs that you can count on. We install, repair, and maintain all types of water heaters. From the time you contact us to the time we finish your service call, you will discover that we only employ the most skilled, courteous staff of experts. If you are looking for Chandler water heaters then please call (480) 812-0075 | (602) 499-1858 or complete our online request form.